cdbf,dbf,sql,dbf ro sql,csv,convert,export,fast,small,win32,linux,unix,cgi,database,php,perl,dbase,xbasecript on any SQL server, so you can easily transfer your data to a new system. 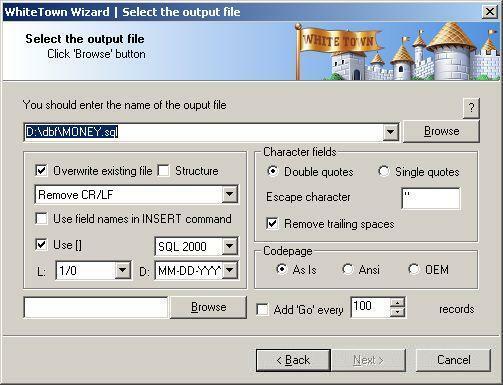 llows you to customize the output file. The program supports dBase III, dBase IV, FoxPro, VFP and dBase Level 7 formats.